exercise restraints in the issue of leader of the Indigenous People of Biafra, Nnamdi Kanu. 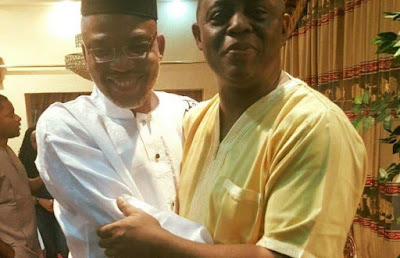 Fani Kayode made this known in his twitter handle on Saturday, September 2. He said: "I learnt that more soldiers and police have been deployed to the SE and SS to prepare for the re-arrest of Nnamdi Kanu. For the final time I urge the FG to be restrained. You cannot fight 2 wars on 2 fronts all at once. Nnamdi Kanu is bigger than Buhari.He is a real lion. What a lovely name... Sometimes enh dis "Femi" dey make me laff! !